Amazon.com description: Product Description: An extraordinary story told by an ordinary woman. 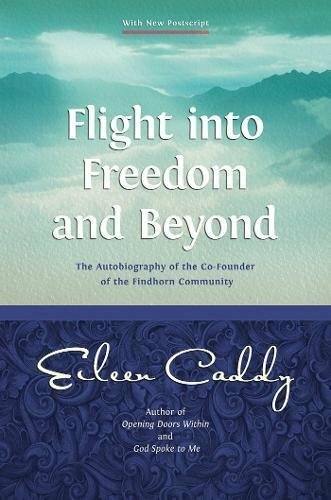 Eileen Caddy (1917-2006) is known worldwide as one of the three founders of the Findhorn Foundation in the north of Scotland. The books that have flowed from her inspiration have drawn multitudes to the Findhorn Community. In the recent, expanded edition of her autobiography, Eileen updated her story to record the events--and emotions--of some fifteen years. She emerges as a powerful elderwoman who frees herself from the aura of her charismatic ex-husband Peter whom she still loves. In doing so, she learns the true nature of forgiveness, overcoming the issues of jealousy, hatred and doubt involved in the break-up of a marriage for which she had, under God's guidance, sacrificed everything. Readers will be struck by the analogy with the biblical Job, how someone who has lost everything, wealth, position, family, can yet have them restored by God. In her own person, Eileen Caddy, divinely ordinary as she describes herself, has pushed the limits of the ordinary person's experience to the very borders of the Kingdom of God. About: An extraordinary story told by an ordinary woman.